My friend Bob took me to some really good spots in a field next to his house a few days ago and we picked and picked and picked. He has a good system for picking berries. Belt an empty milk jug with the top cut off around your waist, and have both hands free to pick, balance, and navigate through the undergrowth. 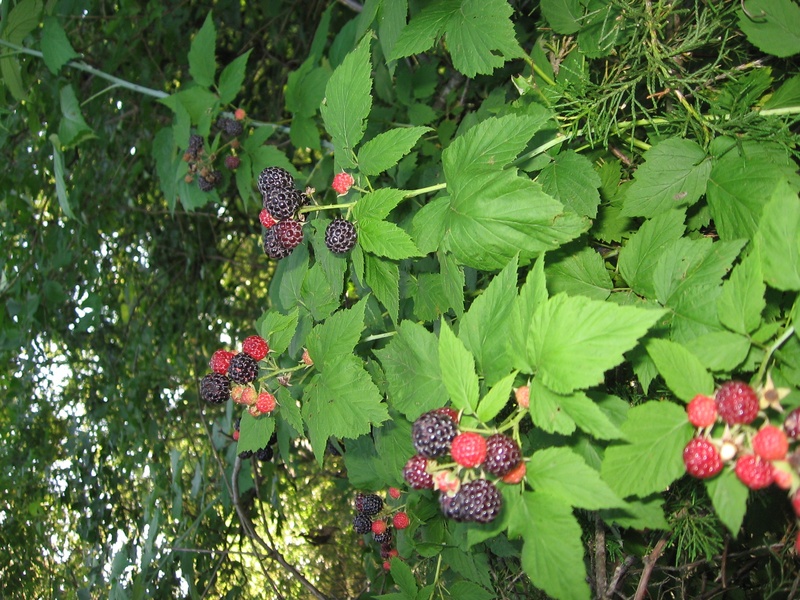 After picking the berries, I took them home and was way too busy for a few days to do anything other than eat a few here and there. This morning I got them out, sat on the porch, and sorted out the sticks and leaves. 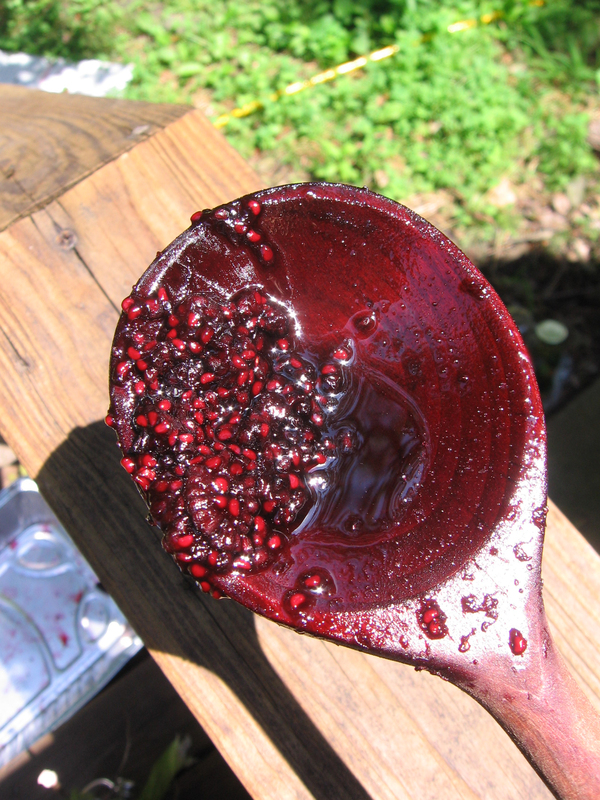 Then I sugared the berries, and added a little lemon juice to make a batch of jam. 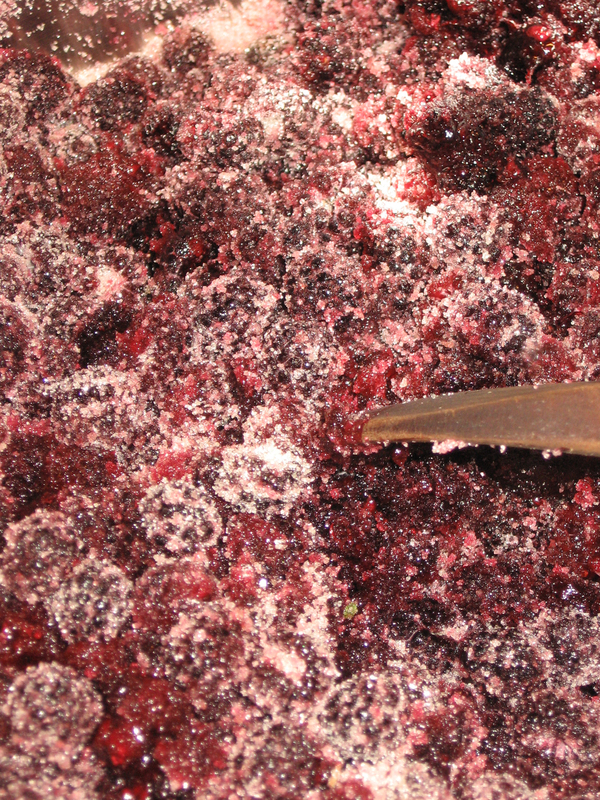 Black raspberries are incredibly dark, sweet and full of seeds, which I love. I made a simple jam, and bottled it to save mostly for my brother, who lives in the city. I have a berry picking trick from the Northwest, where everything is just COVERED in blackberries in August, blackberries which have particularly spiteful thorns. I wear denim overalls with a yogurt container tucked into the bib. 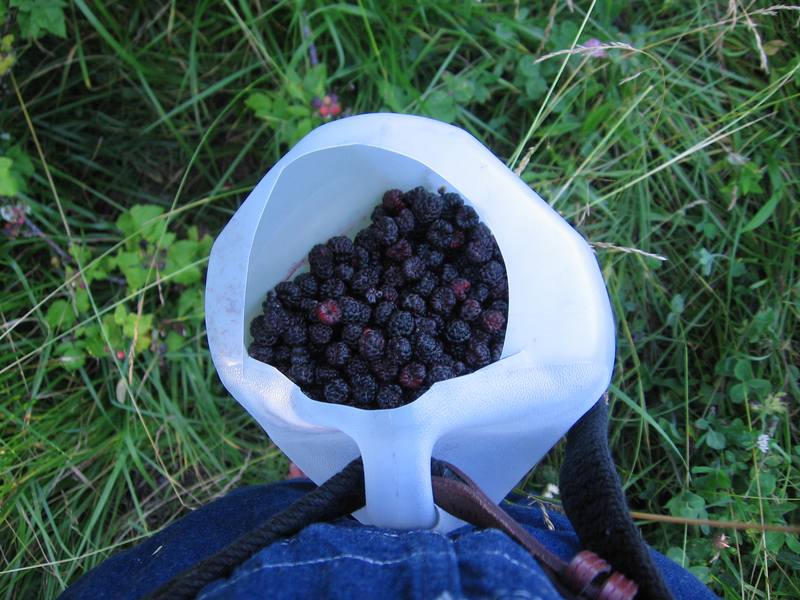 It is easy to access and leaves both hands free to pick (like the milk jug trick- another good one), and the container is small enough that the berries don’t squish themselves under their own juicy weight, and the denim protects you a bit from the thorns too. I also wear a leather glove on my left hand to clasp the vines while my right hand picks the fruit. We just picked our first ever crop of juicy red raspberries from our garden. None of them made it past a mouth. Happy berry time! I love those tips! 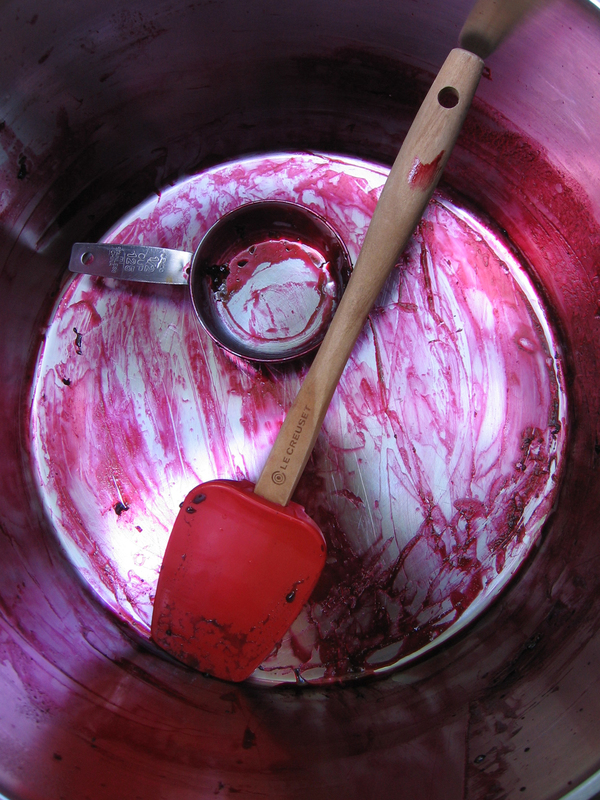 I was using my overalls, and then attaching a metal pail to the bib for cherries, but I like the yogurt container idea as well! And I am going to definitely use the glove technique. The thorns are, as you know, quite vicious!